Gainesville Regional Utilities (GRU) will debut a new wireless meter reading system at Savion Park, Gainesville’s newest apartment complex near the University of Florida. Owned and managed by Trimark Properties’ Gainesville Apartments team, Savion Park will be the first apartment complex to feature the Advanced Metering Infrastructure (AMI) system. Savion Park Luxury Apartments will be completed in August 2014. GRU’s project manager David Lea expressed that the “timing was just right” as the company finishes negotiations with its supplier, Tantalus Systems Corporation in progressing with the AMI system. The enhanced AMI system will allow GRU faster access to manage utility accounts of particular units, such as Trimark Properties’ Savion Park Luxury Apartments, while not increasing costs for utility users. Whereas previously GRU would have had to send someone to physically activate or deactivate an account, the company can now do this from their front office. The AMI System will be linked up to the utility meters at Savion Park via GRUCom’s ultra high speed fiber optic gigabit network. GRU expects the automated system to increase customer interaction, consumer gratification, and response times. According to Lea, the next step in the automated system would allow customers to view and regulate their usage. Labelled the “Customer Portal” by Lea, the Advanced Metering Infrastructure would allow easier access for customers to monitor monthly usage, establish balances, pay bills and receive notifications when balances are running low. The automated system will also minimize power outages and reduce outage size because it will share essential information to GRU in real time, allowing the company to know when and where outages occur faster and with more information. When an outage occurs, GRU will receive a notification, which will trigger the distribution automation component of the system. This component can control the extent of the outage through remote and automated switching of the electric distribution system. “Instead of shutting down a block of a couple thousand people, we can limit it to a hundred or so,” said Lea. The installation of an AMI System is a great cost-effective alternative for multi-family residences and apartment complexes, where accounts are continuously activated and deactivated and where the cost of the system can be easily dispersed among large quantities of units. 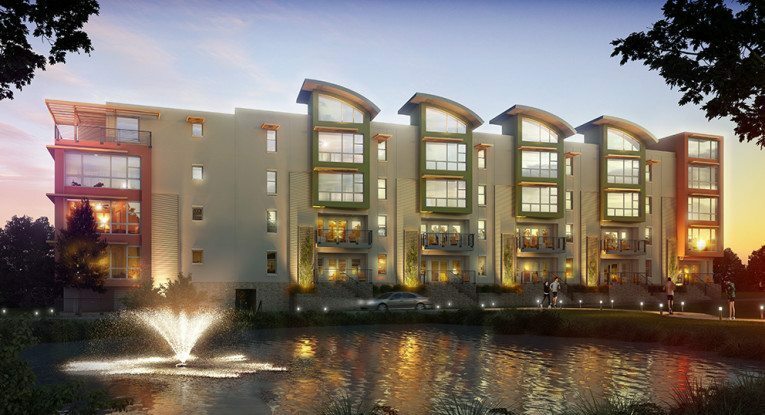 Next in line for the AMI System is Tuscana Luxury Gainesville Apartments. Also owned and managed by local project management company Trimark Properties, the Tuscany-inspired project is set to be completed for August 2015 move-in.